Welcome to another Friday Weekly Roundup! Have you ever wondered what the affiliate channel looked like when it started 20 years ago? How about what it might look like in another 5 or 10 years? 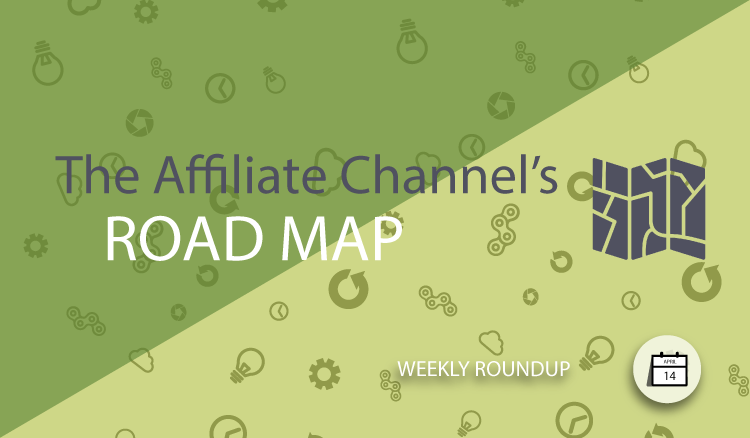 It’s impossible to predict exactly, but the growth of attribution and dynamic commission modeling technologies is now a clear and established part of the affiliate channel roadmap into the future. If you’ve heard the terms attribution and dynamic commissioning before, but aren’t sure exactly what they mean, you’re not alone. In fact, to fully understand them is to engage in a paradigm shift that is just starting to take serious hold in the affiliate industry. To get a full understanding of exactly what this paradigm shift is, download a free copy of our recently published ebook, “The Definitive Guide To Affiliate Attribution & Commission Splitting“. And now on to this week’s huge list of new merchant program launches! Misfit is a leading manufacturer of elegant wearable technology and smart home products. Our brand is one of the most respected and well-known in the high-growth fitness/activity tracker category, and our products are ubiquitous in major online and offline retail channels. Apply to the Misfit affiliate program. 1800Gear.com is a premier web destination for everything outdoors from camping and hiking to hunting, running and fitness. 1800Gear is the gear guide for life for our customers, and it is tailored to those who need the best equipment at great prices. Apply to the 1800Gear affiliate program. 1800GunsAndAmmo is -the- online destination for guns, ammunition and gear. We are the perfect store for Second Amendment supporters, tactical enthusiasts, hunters and outdoor adventurers. Our mission is to create the largest, most comprehensive collection of firearm and outdoor brands on the web. New brands are added to our website every week, and the majority of our brands are available for affiliates to advertise. Apply to the 1800GunsAndAmmo affiliate program. Artificer Wood Works creates handmade, clever, personalized gifts that you will be proud to give and the recipient will be honored to receive. We are the creators of the patented, WineforaWedding® Anniversary Wine Box gift. Every product is meticulously handmade in our workshop. Artwork is created by us or one of our artist partners, making each design original and unique. Our small, delightful customer service team is five star. To give back, we plant one tree for each product sold and re-purpose any byproducts. Apply to the Artificer Wood Works affiliate program. Founded 2008, XD™ was built on the philosophy of advancing fitness equipment through innovation. Our mission is to engineer, design, and develop the highest quality fitness products in the world. With over 30 patents and pending patents we have set a foundation of innovation unparalleled in our industry. Apply to the XD Fit affiliate program. Sivana is a yoga, fashion and lifestyle brand based in San Diego bringing apparel, jewelry, gift and home decor with a Eastern twist. Sivana’s mission is simple. With eastern philosophy rooted in the core of Sivana, they aim to bring you comfort in your journey discovering the ancient practice of yoga and your movement towards conscious living. Apply to the Sivana affiliate program. At Alpine Modern, we believe that thoughtful design can bring harmony to your life. We partner with designers and brands around the globe to curate a refined assortment of gifts, home decor, kids & baby accessories, stationery, bags, and found objects. Apply to the Alpine Modern affiliate program.